The Tether Tools Rock Solid EasyGrip XL features an articulating ball head assembly which allows for angling of your connected device in just about any position. It is designed to help mount an iPad, camera, or other gear onto round or flat surfaces including poles, handlebars, tables, and more. It will attach to round or flat objects from 0 to 4.0" thick. 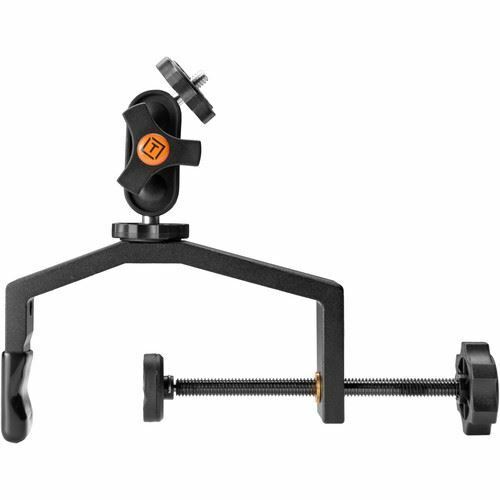 The EasyGrip XL utilizes a standard 1/4"-20 tripod mount to secure a camera under 6 lb or an iPad with the optional Wallee Connect or Connect Lite. Box Dimensions (LxWxH) 7.7 x 5.2 x 1.6"